A granite counter top is one feature that every kitchen needs for that distinctive elegant look. Whether you are opting for that timeless classic theme or that stylish modern vibe, granite offers endless possibilities in terms of design, as it is available in a wide variety of patterns and a broad spectrum of colors. Below you’ll find out how to clean granite countertops to ensue they continue looking beautiful for years to come. Granite is a popular choice for counter tops because of it’s resilience and durability. It can withstand the wear and tear of every day use. It is less porous that other natural solid stone surfaces such as marble. It is also scratch resistant and is not sensitive to the heat of pot and pans. Contrary to popular belief, granite is not that hard to maintain. It only requires little effort to clean and most of the materials you need can be easily found in your kitchen pantry. Imagine how much you you can save on not having to buy those expensive special cleaners. Preventive daily maintenance is KEY. As soon as you you see spills on your granite counter top,wipe it off immediately. Use a soft cloth to gently dab the surface to avoid the liquid from spreading. Do not let soda, wine or even water spills sit on your counter for too long so they don’t turn into stains. Granite may be scratch resistant, but also remember that it is permeable to liquid substances. 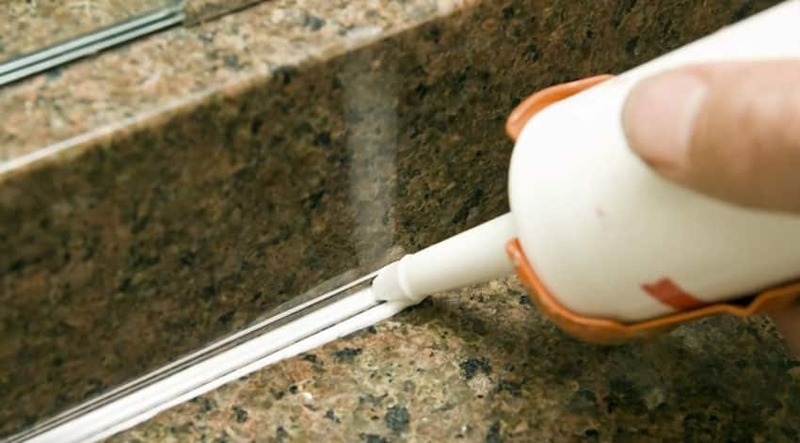 Periodical sealing will make your granite last longer. 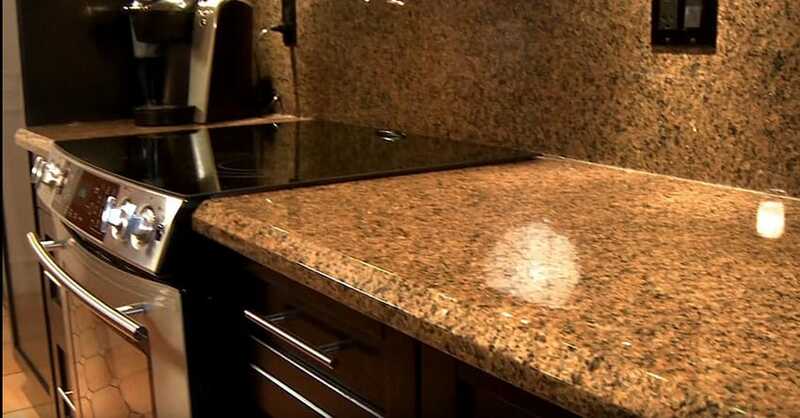 The purpose of sealing your granite is to help your stone resist spills, stains and dirt. Weakly sealed counter tops are more prone to absorption thus allowing liquids to seep through them. Wine, juice or colored liquids can cause granite to discolor. One test to know if your granite counter top is by doing the “Water Test”. Leave a few drops of water onto the surface. A well sealed counter top will cause the water to bead up. If the water is absorbed by the surface, then it is an indication that the seal is not secure. Generally, granite counter tops need to be sealed annually. What to do: Just mix some dish soap with warm water. Wet your cloth and gently wipe over the counter top. Use another cloth to dry the surface. Stay away from citrus based cleaners while cleaning granite. Try to avoid using lemon, orange, vinegar and bleach based products on granite counters as it can damage its seal. What to do: Dab the stain spot to remove as much substance as possible. Spray some water and apply over it a paste made of baking soda and water (consistency must be just like sour cream). Make sure to cover it with plastic wrap and leave it for 24 hours. Wipe off the paste and rinse with warm water and soap. What to do: In a spray bottle, mix equal parts of isopropyl rubbing alcohol with water (1:1 cup ratio) . Spray onto your counter top and let sit for a at least three to five minutes. Rinse with warm water and wipe with a soft cloth to dry. You can find granite counters that come from the factory with a resin treatment already applied. While other may require sealing the granite yourself periodically. Those without a factory sealant may need to be sealed by the home owner every year or two. Also keep in mind that when cleaning your granite counter top, avoid using abrasives because hard scrubbing tools may harm the surface. It is also never a good idea to use acidic substances such as vinegar, lemon or bleach as cleaning agents because it may weaken the granite’s sealant over time. This video features “How to Clean Your Granite Counters The Right Way ” (https://www.youtube.com/watch?v=Z1S4BSJubg4) by IronPointMortgage which is licensed under CC by: http://creativecommons.org/licenses/by/3.0/ – Changes made include editing screenshots.